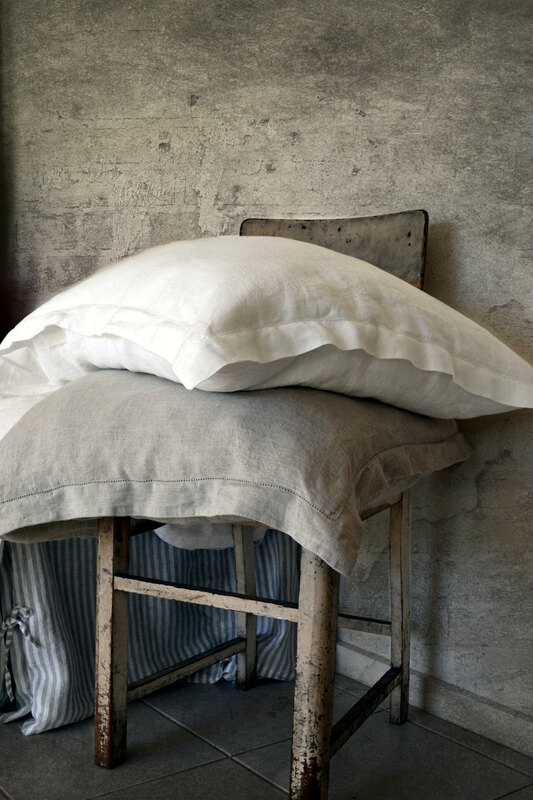 Oxford style antique white or natural Pure Elegance stonewashed linen pillow cases are made from luxurious natural linen. Hemstitch runs all the way around the flange. Envelope closure at the back. Choose between Natural Flax or Antique White colours, mix and match with your Pure Elegance Antique White or Natural linen bedding. Care instructions: normal machine wash, can be tumble dried to maintain softness and unique "vintage" look. No ironing required. No dry cleaning. Pick one... Standard size 50x75cm/ 20"x30" Euro size 65x65cm/ 25"x25" King size 50x101cm/ 20"x40"